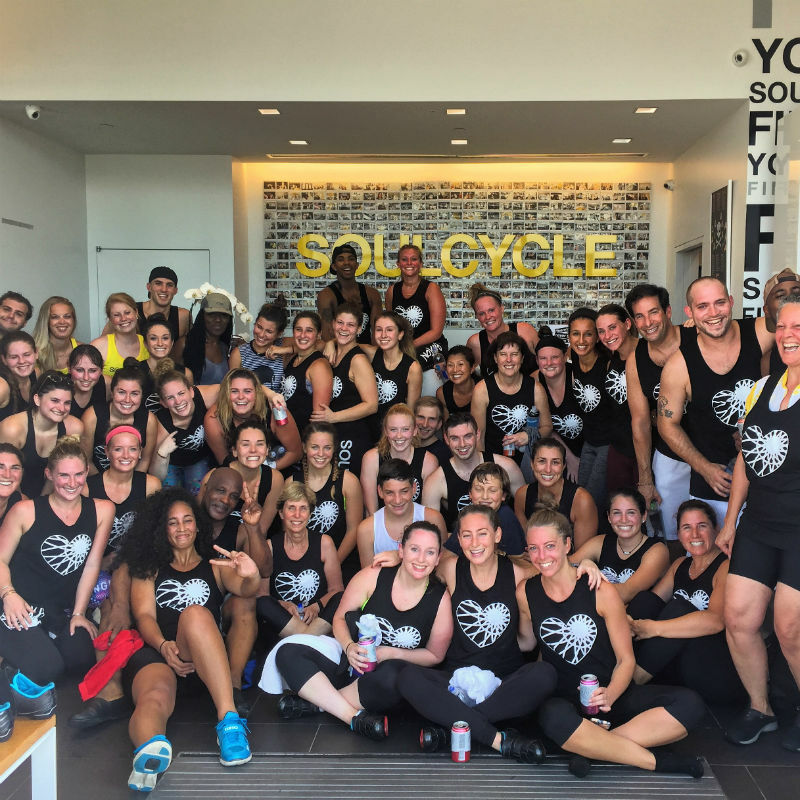 On Saturday, September 10th, I hosted a charity ride for the American Heart Association at SoulCycle Chestnut Hill in honor of my late father, Robin Heller, who tragically passed away from a heart attack on my sixteenth birthday. As I reflect on the past 12 years and remember my dad and simultaneously celebrate my 28 years of life, I realized that SoulCycle helped me love myself again and my dad would be very proud of who I have become — the best and happiest version of myself. The quote “love yourself first and everything else falls into line” is probably the quote that best describes my mental and physical transformation. Everyone wants to be loved. It is the most powerful feeling in the world. But our main mistake is that we forget to love ourselves first. I was guilty of this until SoulCycle came into my life. Have you ever looked in the mirror and thought you weren’t good enough? Have you ever pulled up your shirt, sucked in your stomach and thought, this is what I could look like if I was thinner? Well, I have. We live in a society where social media trends dominate. A world where fitness models are posting photos of their waists shrinking and their butts growing larger and taking an attractive selfie that gets a decent amount of likes trumps human interaction. We base popularity not on the content of someones character, but by how many followers they have or how many likes they get on their previous post. Confidence, self-esteem, body image and mental health all play an enormous role in today’s society and I was one who always struggled with loving my reflection in the mirror. I can’t remember a time I didn't struggle with body image and weight fluctuation. I was always in a constant battle with the scale. Growing up I was average sized, but always felt bigger compared to my friends. When my father passed away of a heart attack on my sixteenth birthday, I was an outgoing, popular junior in high school on the varsity volleyball team and an honors student. I remember being so excited when I got my learner’s permit that day. When my mom told me the terrible news, my life was forever changed. Holding back much-needed tears, I immediately took on the strong role for my family. Food helped me grieve. The volleyball season had ended and I wasn’t involved in any winter sports to stay active. I would come home every day after school and watch The OC Season 1 on DVD and eat a tray of Bagel Bites in the dark while ironically wishing I’d have the body of Misha Barton, who played Marissa on the show. Within two months I had gained a very noticeable 12 pounds. My clothes didn’t fit, I was embarrassed to go out in public,and I felt lost. I was determined to get back in control, so I went on a low carb diet (they were so in in 2005) and combined with exercise (lots of cycling -- SOUL wasn’t around yet! ), I lost the 12 pounds and then some and felt amazing. My senior year of high school, I was captain of my volleyball team, in pretty great shape and still maintained honor roll. The typical teenage girl in me of course still didn’t like how I looked in a bikini, but I was content with my progress. As graduation quickly approached, I couldn't wait to get out of my small town of Sharon, Massachusetts and head to college to experience the next chapter of my life. I attended UMass Amherst – or "Zoo Mass," as they call it – which consisted of four jam-packed years of exams, papers, stress, endless partying and late night “hot cheese up front” from Antonio's. 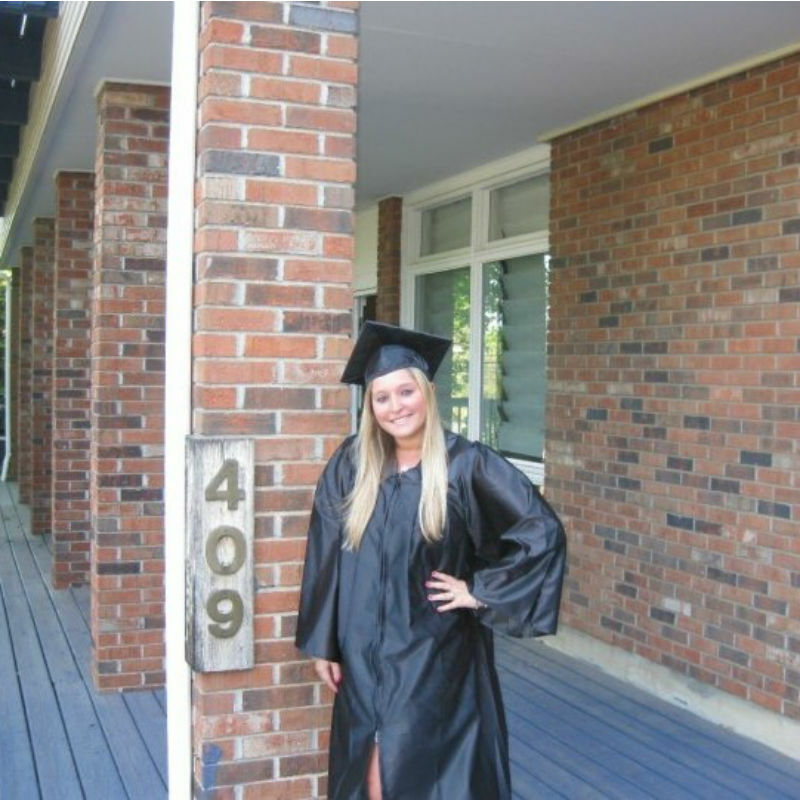 After countless keg parties, tailgates and thousands of red Solo cups later, I had not only gained a Communications degree, but I gained something that I didn’t sign up for: a whopping 30 pounds over the course of the four years. Until I graduated, I never fully realized how unhealthy I had become. My confidence was at an all-time low and I felt terrible physically and emotionally. I was still having the time of my life and had so many friends, but simultaneously was depressed because I was the heaviest I had ever been in my life at my college graduation. I was not living up to my full potential and that had to change. Post-graduation, I was irritable. I was having trouble finding a job, was living back home in Sharon and the post-grad depression was really kicking in. I missed my friends and roommates who had become family and was in the biggest rut of my life. I needed a change and I needed a purpose; I didn’t know who I was anymore. Very slowly, I started losing weight by using any app out there to count my calories and trying to work out a few times a week. I tried so many fad diets. They would work for a few weeks, but then I would get bored since I wasn’t seeing results fast enough. I continued to fluctuate and couldn’t seem to fully be in control of my eating and drinking habits. It took me five years to lose and keep off 20 pounds and after that I was only at a place where I was semi-content with my body. Fast-forward to SoulCycle. I took my first class in early December 2015 and my life was yet again forever changed. After that first class with Sara, I felt so many emotions I couldn’t really explain or put into words, but I knew I wanted to come back for more. 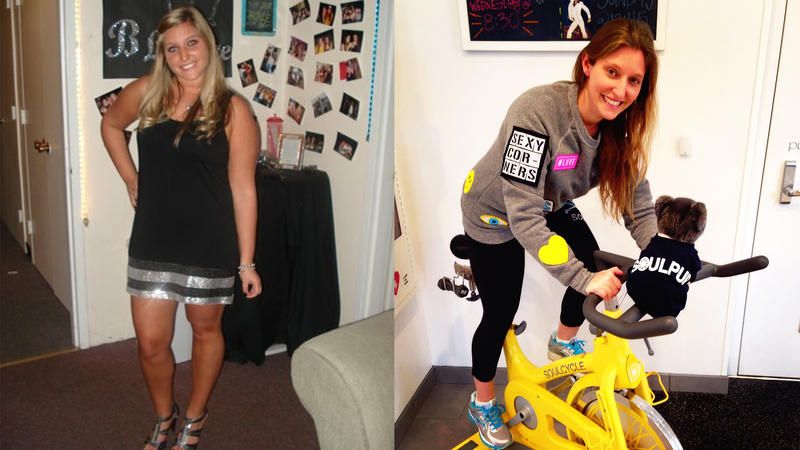 Then, a month later I was lucky enough to join the SoulCycle team and now I am one of the managers at Chestnut Hill. There’s something about that dark room. The judgment-free zone. And there are so many feelings to be felt. I have laughed, cried, clapped, cheered, danced, sang and have been pushed to my limits. SOUL is way more than just a job to me. I have found a family within the staff, instructors and community of riders who believe in me, support me and make me a better version of myself. I know in this moment I am where I am supposed to be, where I belong. I am home and I am happy. After a month of riding, I noticed unbelievable changes in my body. I wondered how and why it took me so long for me to find this miracle which was SOUL and I told myself I was never leaving it. My legs completely transformed. My arms and stomach lost much needed stubborn fat and in turn gained muscle. I lost three pants sizes and stopped weighing myself because that number was not going to define me anymore. I was even seeing abs come through (WHAT ARE THOSE?). More importantly, I found much needed strength and the happiness I was searching for. I am not only in the BEST physical shape of my life because of SoulCycle, but I am also in the best shape of my life mentally. I owe so much of this to all of the Instructors who lead our Boston SOUL pack and their inspirational messages. Without Charlotte telling me that “strength is my only option,” James telling me that “your mind is a powerful thing, when you fill it with with powerful thoughts, your life will start to change,” Allie telling me “With every step, remember how much you are worth,” and Sal telling me “I am enough,” I wouldn’t be where I am today. And I can't forget Jeff, who laughs at all my jokes, even the ones that aren't funny. From the bottom of my heart, thank you to Sara, James, Liah, Leah Life, Lexi, Sal, Jeff, Erin, Catie Chang, Dani, Charlotte, Lisa, Allie, Nick Turk, Johnny, Christelle and Maddy (that is the order I took all of your classes) for all that you have done for me both inside and out of that dark room and for all that you do for our community. You truly inspire. I am forever grateful. Life can be difficult for so many different reasons. For me, I had to deal with death at a young age and I struggled with confidence and body image. SOUL has helped me to acknowledge my self-worth and not define myself by a number on the scale. Every time I get on my bike, I am reminded that I am in control and even when I do get off track, I bounce right back. Because who doesn't love pizza and ice cream cones?! They're lying if they say they don't! 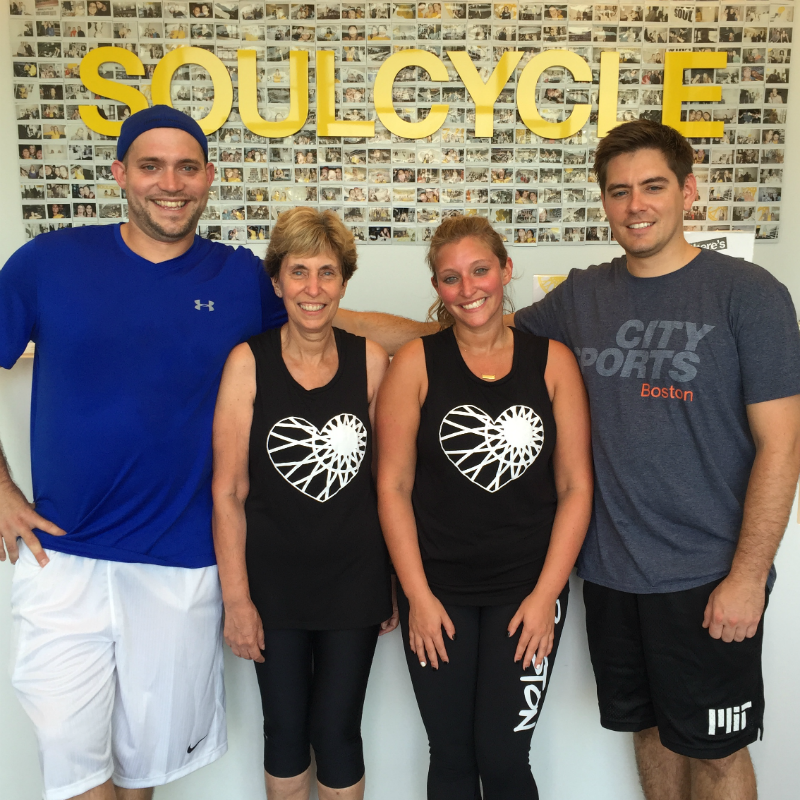 SoulCycle can’t cure disease. It can’t change your past. It can’t make you rich or pay the bills. But what it does do is force you to clear your mind, get out of your comfort zone and free all that is weighing you down, so that you have the power and strength to make a change and go out into the world on your own and accomplish your wildest dreams. 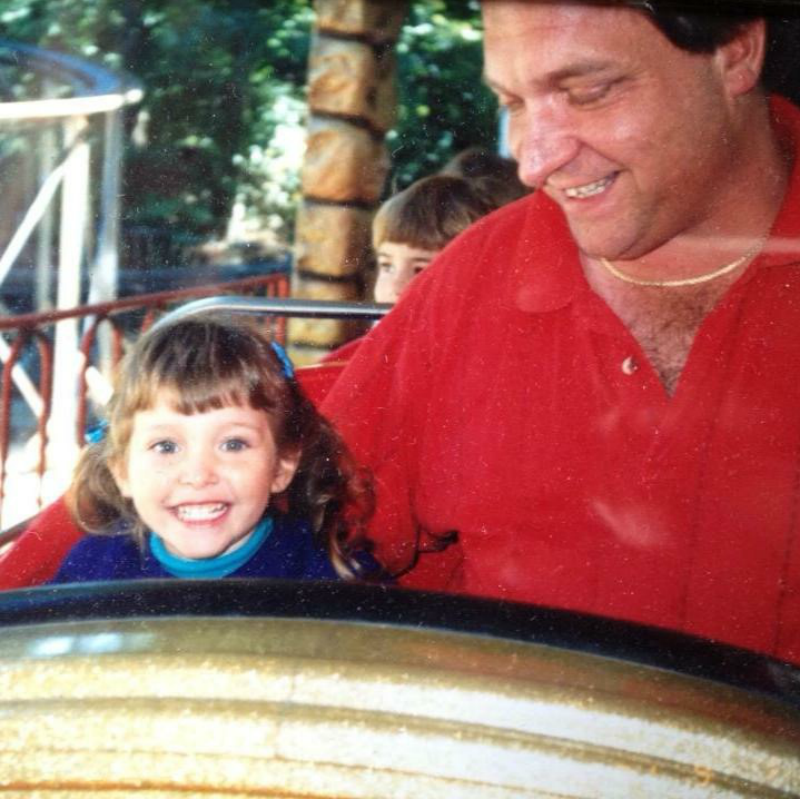 My father used to tell me “you’re the best” each and every day. I am so proud that I am continuing to learn and grow in order to be the best version of myself possible. 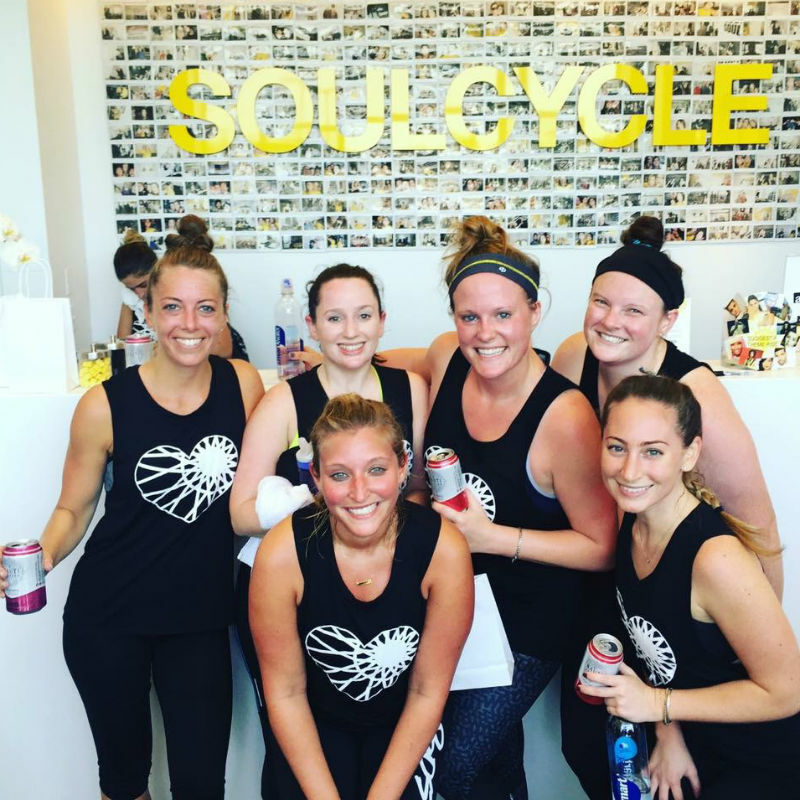 It is extremely rewarding that SoulCycle has welcomed me with open arms to a community of people who want to thrive together. 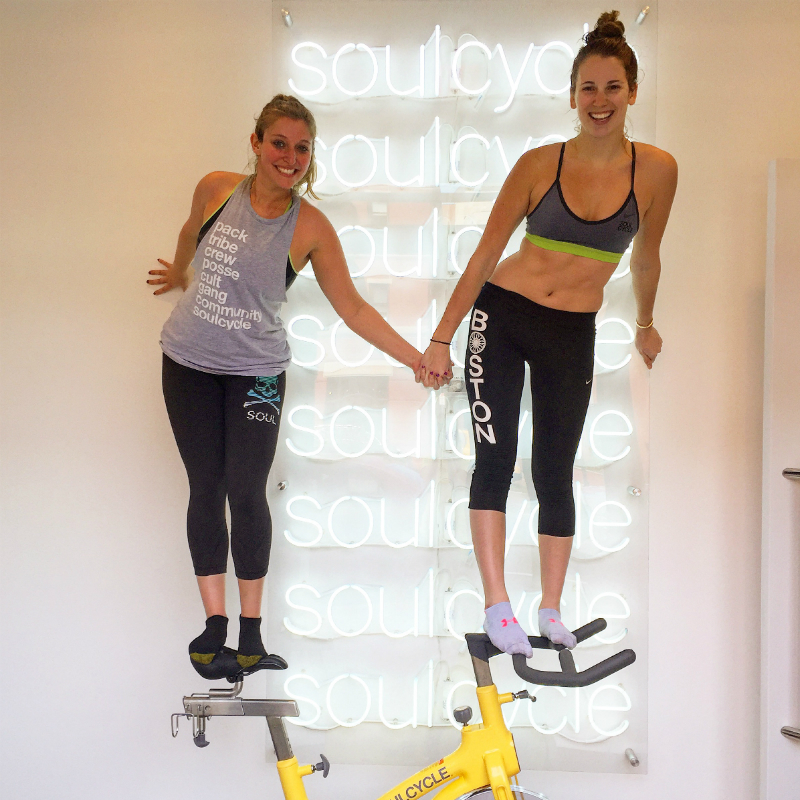 I just wanna go to the rooftops and scream, “I LOVE SOULCYCLE" for all it has given me and for everything to come. I took my journey, changed my body and found my SOUL.